We want the Expo to have as many arcade and pinball machines as we can fit in there and power. We want to have all your favorite games here and maybe some games you never got a chance to play. To do that we need your help. First, bringing a machine to the expo gets you a Free Weekend Pass to the event. You receive one weekend pass for every machine you bring up to a maximum of four passes. So if you bring one machine you receive one pass, four machines you receive four passes, 10 machines you will receive four passes. This year we are doing Best in Show awards for the pinball and arcade games. This is our first year doing this. I hope you bring out some cool games and participate. Judges will be selected from vendors and special guests of the show who do not have games entered. * For restorations we need to know what it looked like before. Winners will receive $50, an awesome plaque, and the envy of your peers. In addition if you are bringing a pinball machine to the Grand Ole Gameroom Expo ColorDMD is offering a $50 discount plus free shipping on new displays ordered and installed at the show. This is a great deal. Contact ColorDMD directly to take advantage of this offer. Arcade and Pinball games being brought to the event should meet the following conditions. They should be fully working. They should be clean. If the games are “warehouse fresh” or projects please don’t bring them. Arcade games should have good monitors and working controls. Pinball machines need to have all components working. If possible machines need to be set to Free Play or have a credit switch wired. Some games are not easily set to free play without modification we understand this. If the machine you want to bring can’t be set to free play let us know. We want the games to be original and not Multigames. We also ask that all games brought stay the duration of the event and are moved out after the expo closes on Sunday. Games cannot be removed early from the show unless approved by the expo organizer. We will try our best to make sure your machines are not damaged during the expo. The expo will be staffed at all times, and your machines will be watched over. For example food and drink will be asked to be kept away from the machines. However we ultimately cannot be held liable for any damage to them. This is a great event to bring any machine you are trying to sell or trade. You are welcome to post sale info on any of the machines. We just ask that the machine stays the duration of the event. We may reach capacity on the number of games we can feature at the expo. So we encourage you to sign up early to secure your place and entry to win the pinball machine. You can always change specific machines or add in new ones to bring as we get closer to the event. You will receive an email from our staff to confirm your registration. 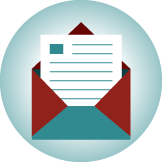 Sign up for our Newsletter and stay up to date with all the latest Grand Ole Gameroom News.